Every face is a perfected masterpiece; mine, yours, the awesome barista making my morning cappuccino. And just like any work of art, it needs to be preserved...right?! Think about it, does anything happen – naturally – every day to work in favor of your face? The sun, the time, the coffee (a natural occurrence for me), the stress... nada! If I want my skin – the canvas of my masterpiece – to be healthy, bright, even, and glowing, I've got to get intentional. If you're thinking okay... I'm years deep in boozy brunches, tanning beds, stressful sleepless evenings, and who has time for water when you need as much coffee as I do? My canvas is doomed! I'm right there with ya! My face has literally peeled off from sunburn. I was a lifeguard in high school and embraced burn after burn. Oh, the regret! If anyone is doomed with a dry, wrinkled, and spotted skin, it's me! But we ARE NOT doomed. Whether your skin is in it's prime or haunting you with regret I'm so pumped to tell you that your future is bright! Clean, cruelty-free products are fabulous and necessary but without correction and protection, they only go so far. Read up on my recipe for healthy glowing skin for all the juicy details. 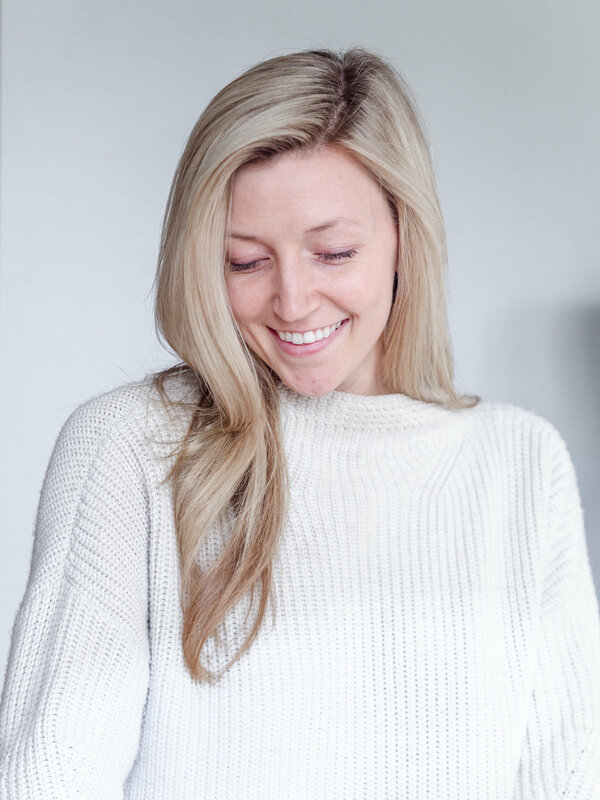 This post falls under the corrective category and I'm diving deep into Laser Facials! I was researching them when I saw my ladies at Lapiel Laser Center specialize in Laser Rejuvenation Facials (same gals I do my chemical peels with) so I was all in! We partnered to bring you inside the experience and take you through the whole process! WHAT IS A LASER REJUVENATION FACIAL? It sounds scarier than it is, so I have pictures, videos, and proof of exactly what goes into Laser Rejuvenation. These babies are the real deal! 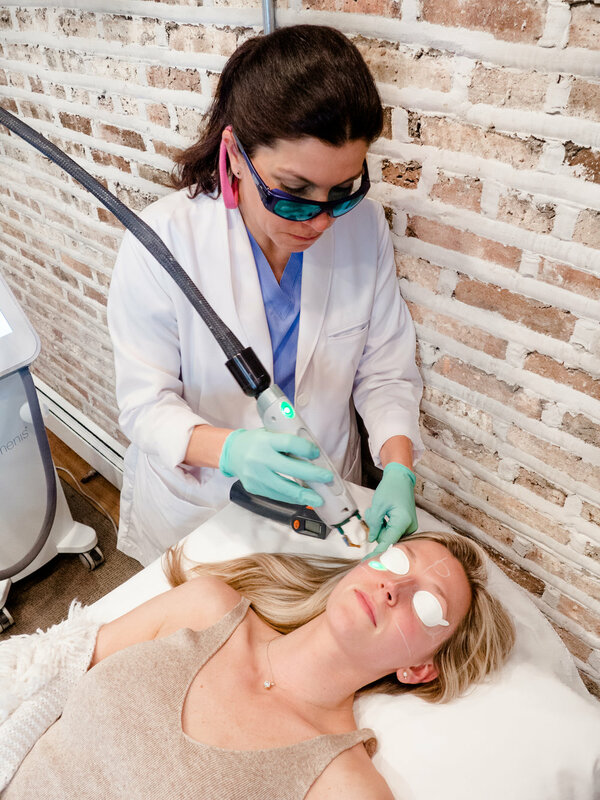 Laser Facials stimulate collagen, break down damaged skin cells so our nifty products can reach a little deeper, and diminish sun spots, scars, and wrinkles. They do all the things! It all starts with a consultation. Expectations are covered and questions are answered. This isn't the usual hot towel and facemask facial. I'm combating damage and seeking stimulation, no mask can do that...bring in the lasers! Catalina (The Nurse Practitioner and Co-Founder of Lapile, ) mapped out the treatment areas (literally with a white pencil) and walked me through the process of my session, which only took about 15-20 minutes. Y'all, so snappy! The first laser is HOT; you might be a little uncomfortable but I was never in pain. Its purpose is to stimulate collagen production, that will keep your skin healthy, tight, and full. The second laser targets wrinkles, discoloration from damage, and minimizes pores. You'll see bright flashes of light through your eye protection, may even jump a little and feel the spark. It's a laser on a mission and while it's not soothing, it is totally worth it! A rejuvenating serum applied to your skin and you're ~ all good to go. You'll immediately notice that your face is red and suddenly all your freckles have come out to play. That is great! Those are all the sunspots and damaged skin living beneath the surface and growing as your skin ages. We've just stopped them in their tracks! Over the next few days, those freckles will get darker and then all of the sudden fall away to disappear forever. That's right FOREVER! I went through three rounds of Laser Facials each one left behind a brighter, more even canvas and peace of mind that the damage of my bad decisions won’t come out to haunt me in the future. You can see one of the immediate effects of my laser facials in the “freckle” by my left eye in the before and after below- it’s totally gone! My recovery took about 4-5 days but the norm seems to be 7-14 days. During my recovery, the redness goes away and the freckles get darker as the sunspots are pulled to the surface. They texturize – they call this frosting- but basically scab and like all scabs, heal and disappear! Leaving behind bright, beautiful and healthy skin layers and layers deep. Laser facials make your skin very sun sensitive. If you’re taking the steps to get these facials done, I doubt you're out soaking up harmful rays. But, if you are on the tanning train, this is not for you! You'll do more damage than good if you're sunbathing after laser treatments. However, if you're like me, and craving healthy, happy, bright skin you should totally go for it! Laser Facials are only offered by Lapiel in the Fall, Winter, and Spring due to the sun sensitivity. Summer has some harsh rays and honestly, it's not worth the risk. Wear 30 SPF pretty much all the time and reapply every 3 hours if you're outside. During your healing process, make sure you're well hydrated. Lot's of fresh water! You can totally put makeup on over the spots after treatment. I even had a photo-shoot one day after my second treatment and no one even noticed! Let the frosted sunspots heal- don’t try to rub them off! Wait at least 10 days before exfoliating. At Lapiel, one Laser Rejuvenation Facial is $199 and a package of three is $575. I got all three of mine in a row so I could share the process. You could also use one each fall/winter to combat summer damage and spread them out. Healthy skin is valued, loved and appreciated. We all want it desperately but don’t notice until we think we’ve lost it. You don't have to wait and it's never too late. Laser facials are a game changer for whatever stage your skin is in. That's why I'm so passionate about these facials; the benefits are two-fold with immediate gratification- my favorite- and permanent effects. When we get intentional about our skin, our future is bright! Thank you Lapiel Laser Center for sponsoring this post! I can’t wait to come back for more. I only share things with y'all that I love and truly recommend. If I wouldn't eat it, wear it, or do it... I don't share it on West of Felicity. This is a very personal space for me and I'm sharing this facial experience because it works wonders and I want to share a bright future with you!